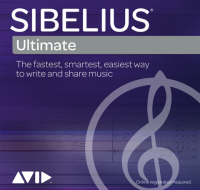 Sibelius Compass is a unique program to help students learn how to compose. It includes lessons, worksheets and self-tests covering a wide range of topics, leading on to complete composition projects. Suitable for secondary and university level. For each lesson, students study relevant interactive topics, test themselves with the built-in quiz, and try out what they've learned in the Toolbox. Topics include melody, harmony, scales, rhythm, dynamics, transformations, timbre, texture, and form. Compass's Toolbox is where students record and develop musical ideas. It includes a large library of motives (e.g. chord sequences, rhythms, scales) to use plus tools to create canons, inversions, ostinati etc., and combine material in new ways. The lessons lead on to composition projects such as theme and variations, songwriting, sonata form and blues. Students develop music in the Toolbox, and can also transfer it to Sibelius 3 or any sequencer. Windows 95/98/Me/2000/XP/NT4 or later, Pentium II or faster, 64Mb RAM (128Mb for Windows 2000/XP), 300Mb free hard disk space.